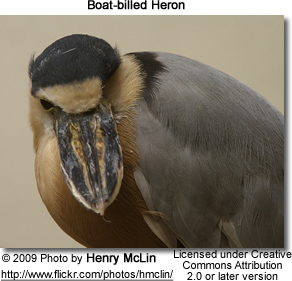 The Boat-billed Herons (Cochlearius cochlearius) - or simply Boatbills - are members of the heron family. Their range stretches from Mexico south to Peru and Brazil and South America. 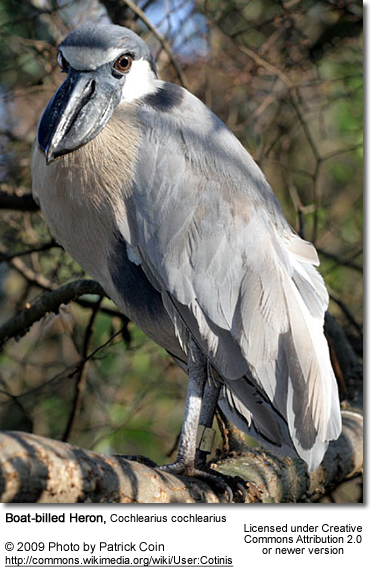 These nocturnal herons inhabit mangrove swamps. 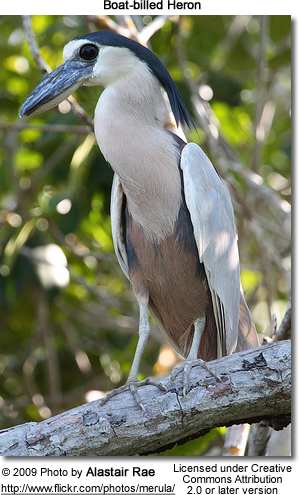 Boatbills nest in mangrove trees (sometimes in colonies). Their nests are constructed out of twigs. 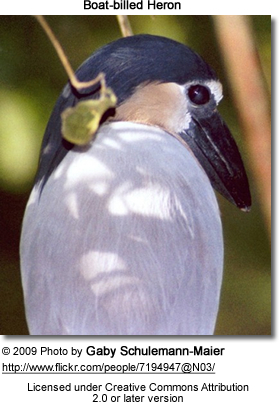 The averge clutch consists of 2 - 4 2-4 bluish white eggs. The Boatbill measures about 54 cm in length. 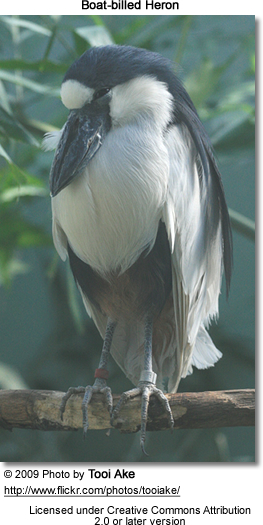 The adults has a black crown and upper backl and a long crest. and upper back. The face, throat and chest are white; and the rest of the upper plumage is rufous with black flanks. The lower back and the wings are pale grey. The scoop-like, broad bill is massive and black in color. Juveniles are brown above and and brown-tinged whitish below. They lack the crest of the adult. Their diet consists of fish, crustaceans, eggs and insects. Their calls are described as deep croaks and high-pitched pee-pee-pees.